Join Swift Transportation! If you are searching for a stable, successful and profitable career in a truck driving job, you've found the right place. Excellent work environment, my dispatcher has been a good friend, easy to work with. Tractors and trailers are in very good condition. Repair department is very good and fast. I honestly can't complain. Everything worked out perfectly in my favor. I never went through Swift's schooling, but I did go through the 4-6 week training program. I enjoyed my years at Swift. If you like having a flexible work schedule and you like driving, then you may want to consider this job as your next career move. 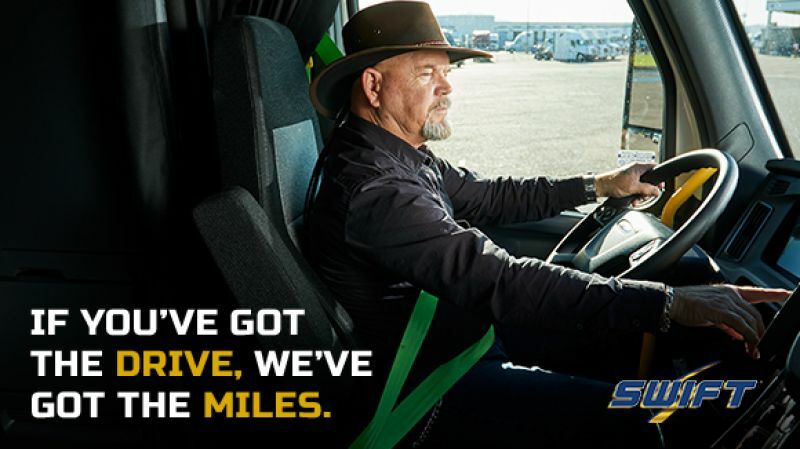 OTR Drivers can earn competitive wages while driving coast to coast taking in the sights along the way. I really love the company, but their putting driver-facing cameras in the trucks, so I'll be leaving b/c of that. Paid me well, had good home time, just don't want a camera on me 24/7.